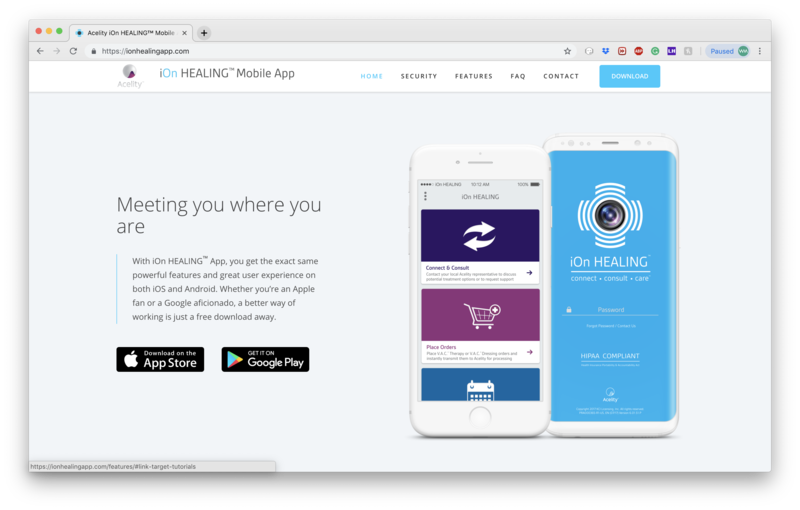 Website development for iOn Healing™ Mobile App came to us as a result of the previously completed mobile app design (UI/UX) and the marketing and educational assets that we had already developed for them. 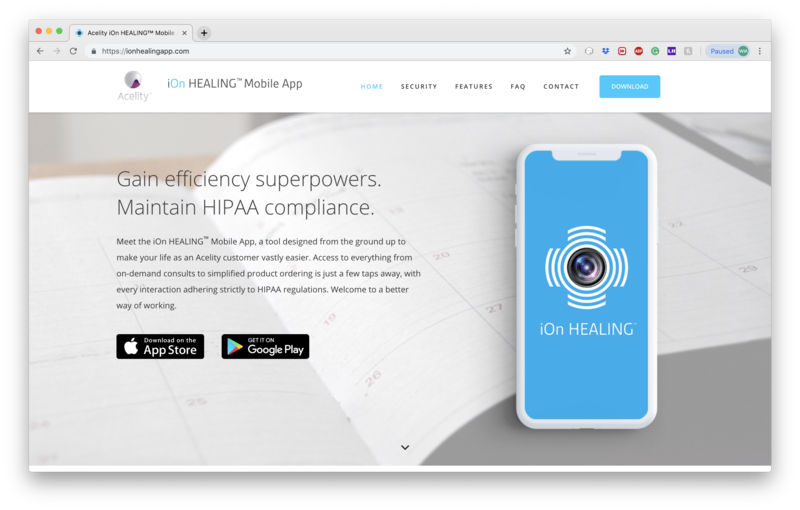 Having developed the look and feel of the app from scratch, and having built a strong relationship with the iOn Healing™ team, we were the obvious choice when it came to website development. 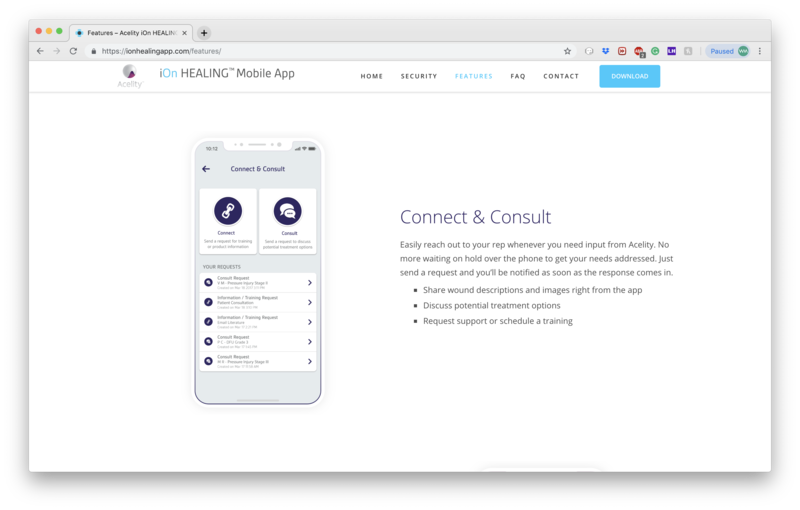 We tapped into our in-depth knowledge of the company and product to design and build an intuitive, informational platform for the app. 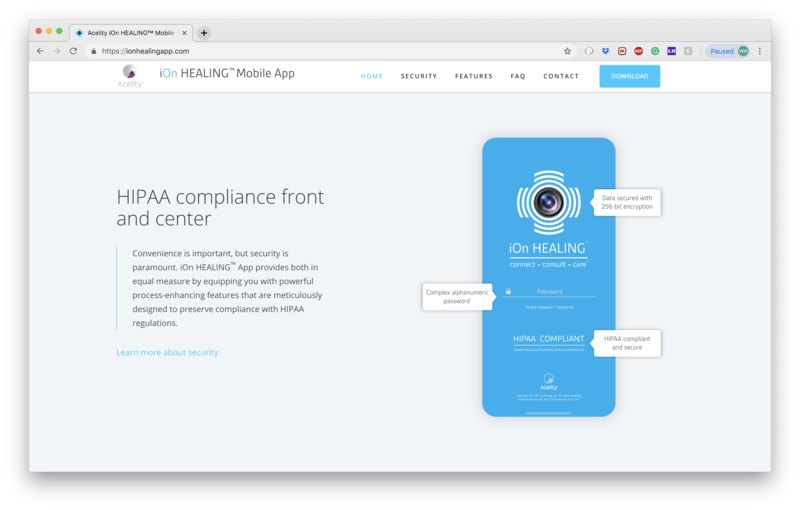 Users can access information, view features, read security compliance, and download the app all from the website. 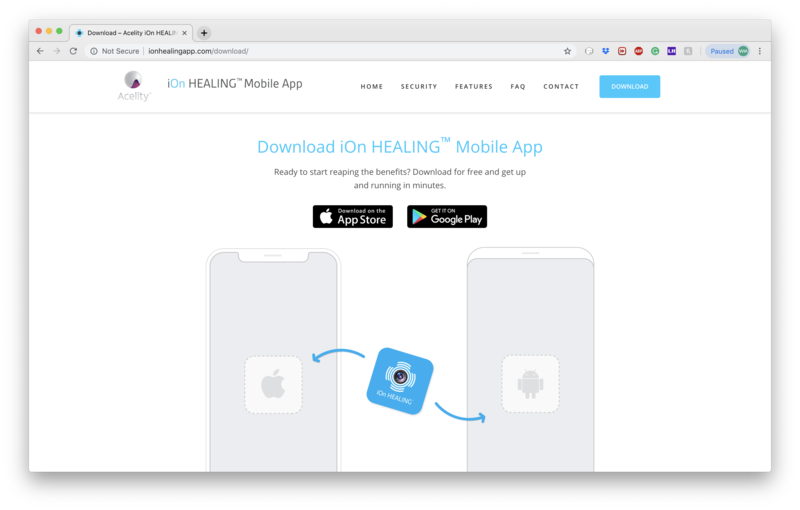 Oh, we also made a 3D product video for them too! Check it out below!